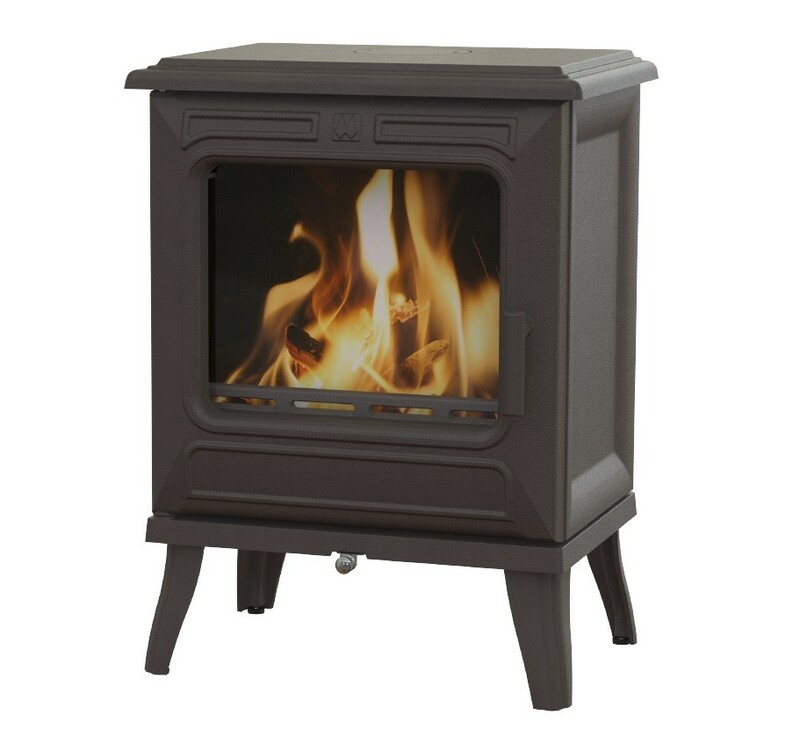 Unlike many stoves there are no refractory or vermiculite firebricks in the Vicky 5. These firebricks are normally used to keep a high temperature within the combustion chamber of the stove to ensure ignition of the volatile gases released from the logs and in the case of steel stoves to protect the body of the stove. These firebricks can be easily damaged and wear over time so they need to be replaced adding further costs to owning a stove. They are not needed in the Vicky 5 as the air entering the stove is preheated to a high temperature so keeping the volatile gases above their ignition point and the cast iron is of such a high quality it can naturally withstand the temperatures generated in the stove. characteristics without compromising the efficiency. 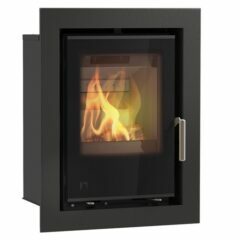 The design team have ensured that the pre-heated air is delivered into the fire box in such a way as to mix this air with the volatiles released from the logs to give outstanding performance. uninterrupted view of the flames. Franco Belge offer a 5 year manufacturers warranty on the body of the stoves they produce, when the stove has been purchased from an authorised Franco Belge retailer and has been installed by a suitably qualified and competent heating engineer. If a stove is purchased from a non-recommended retailer and/or there is no proof of a qualified heating engineer installing the appliance then only a 12 month warranty will be applicable. The warranty covers the stove body castings only and does not include consumable items such as grate, firebricks, vermiculite panels, baffles, log guards, door rope and glass. Any warranty claims should be addressed to your original stove supplier.